Welcome to your quiet and peaceful “getaway” in the woods! You will love the cozy and comfortable surroundings, relaxing in the hot tub listening to the sounds of the water flowing across the rocks in the stream! Enjoy your fully equipped kitchen or be creative on the charcoal grill. Warm up with the woodburning fireplace, or just relax and do nothing! 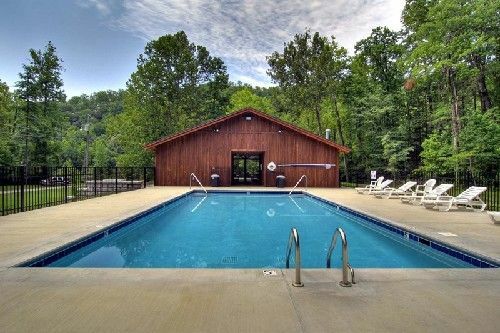 There is a swimming pool, hiking trails and all of this is close to Pigeon Forge, Gatlinburg and the Great Smoky Mountain National Park! Come on in, the mountains are calling you! Studio Style Cabin – One large room with vaulted ceilings, king size bed, private bath (shower only), wood burning fireplace with wood provided, next to a stream.